Note that for rounding off a 5, the IEC 60559 standard (see also ‘IEEE 754’) is expected to be used, ‘go to the even digit’. 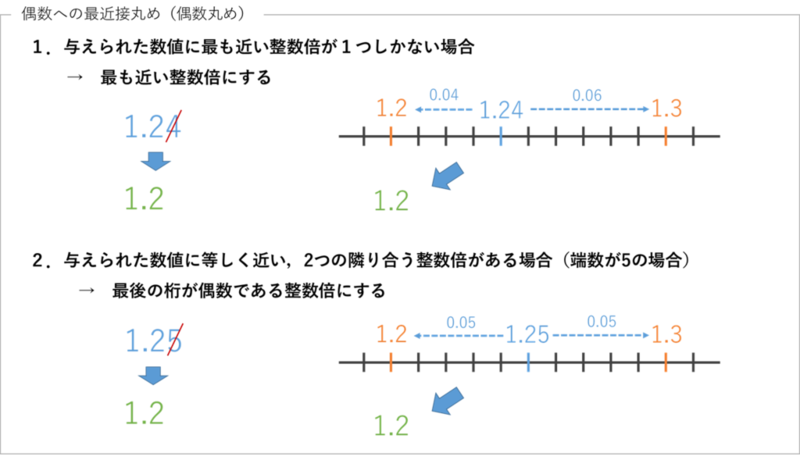 this is dependent on OS services and on representation error (since e.g.0.15 is not represented exactly, the rounding rule applies to the represented number and not to the printed number, and so round(0.15, 1) could be either 0.1 or 0.2). 2.45 is being represented as 2.4500000000000002 on my system when printed out from the C code in fround. It is not a binary fraction and so cannot be represented exactly (in standard hardware).